Don’t gobblefunk around with words! Kenna Bourke is a full-time author of ELT and children’s literacy books with a special interest in English grammar. She is the author of Oxford Discover levels 5 and 6, and many more. In this article, she looks at three reasons why reading makes students better writers. Reading makes you a better writer. And it’s fun! But why? Because when we write, we naturally incorporate what we’ve learned about lexis, style, syntax, and spelling. My all time hero is not a pop star, not a president, not a philosopher, not a painter, not a pirate, not a private detective, or even – dare I say it – a primary school teacher. No, my all-time hero is Roald Dahl, a writer who gobblefunked better than anyone. Dahl instilled in me a love of words – real words and invented words – and a love of twisting words; making words do things they’re absolutely not supposed to do … not in any circumcrackles! He also made me understand that, in writing, anything can happen if only you’re brave enough and curious enough to allow it to. I devoured his books as if they were delicious snozzcumbers. Now, I realize you may never have gobblefunked, and perhaps you haven’t yet had the pleasure of tasting a snozzcumber, but I’ll bet you know which of these two words is a verb and which is a noun, don’t you? And how many of you have students who’d be among the first to put up their hand and correct the Big Friendly Giant’s grammar? The Big Friendly Giant, the title character in Dahl’s The BFG, spends his life kindly and gently blowing happy dreams to children. But he has no one to teach him English, so he borrows a novel (Nicholas Nickleby, by the well-known author Dahl’s Chickens) from a little boy who happens to be asleep, and he reads it again and again and again, for ‘about 80 years’. This, he explains to his tiny friend Sophie, is how he learns to write English – by discovering new words and teaching himself how to write them. And yes, sometimes he gets his words frack to bunt, but that’s OK because context – fizzwiggling, wonderful context – helps us figure out what he means. Reading non-fiction is just as valuable to writers as reading fiction. But why? Because sometimes we feel a need to explain things to people. Or we want to inform or teach someone how to do something. Or we have to persuade a friend that our way is the right way. Or maybe we’re just bursting to express an opinion on a subject. And here, non-fiction is our friend! Good non-fiction models teach you how to tell a factual story; how to build a solid argument; and how to convey information concisely, logically, and comprehensibly. 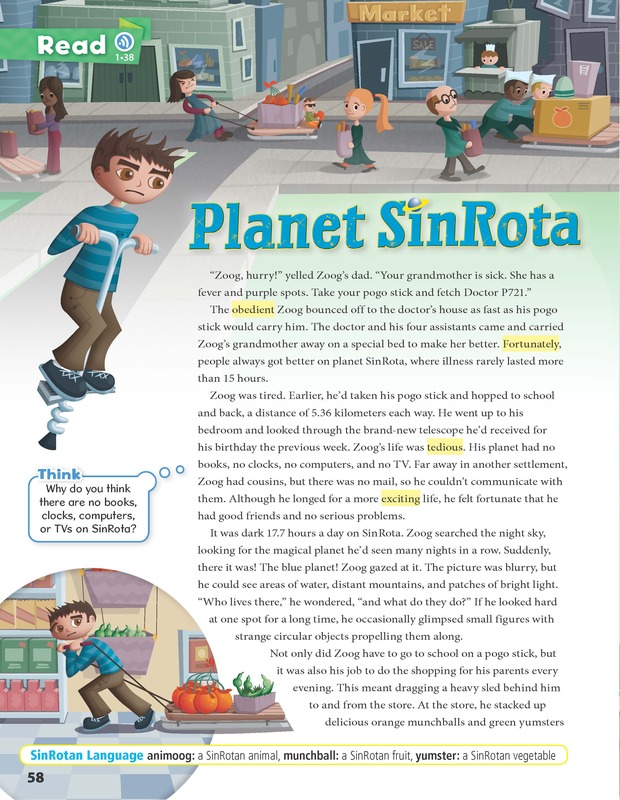 Well-written informational texts can help students realize that very often our world is every bit as intriguing as the invented world of fiction. 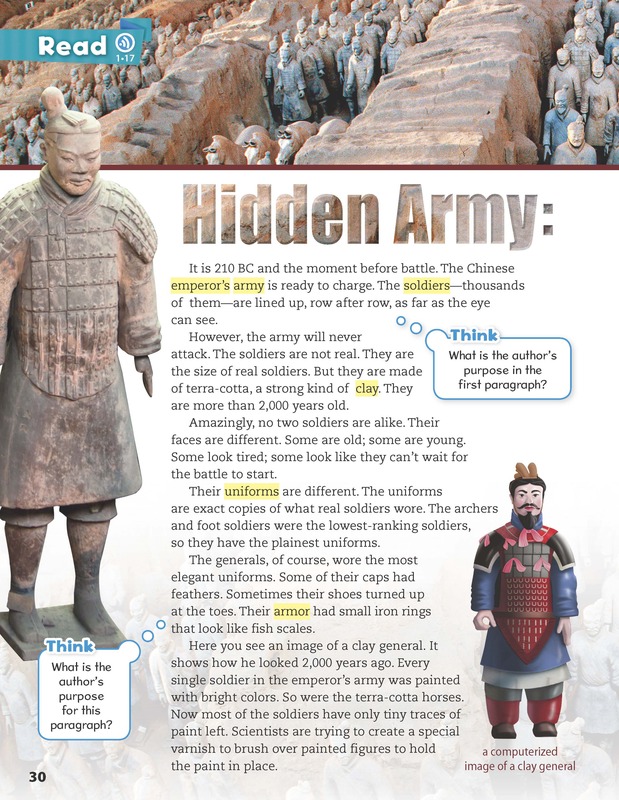 I mean, who would believe that 2,000 years ago, a country would bury 8,000 beautifully crafted clay soldiers? Reading makes you think; and thinking helps you write. But why? Because reading forces us to reflect on our own experience; make comparisons with other, often different, realities; build analytical skills; and generate new ideas for writing. Imagine a planet without wheels. How on earth would you know what the time was? How would you get to school each day? Where would you get food from if there were no trucks, trains, or planes to bring it to you? What would people read if there were no printing presses (because yes, printing presses need wheels)? A wheel-free world? How ridiculous! No, but seriously … What if there really was a planet with no wheels? So … would I have become a writer had I not read Roald Dahl? Quite possibly not. I think, on balance, I might have grown up to become a grossgreener and lived on scrambled dregs. Would you like practical tips on teaching writing and developing 21st Century skills in your children? Visit our site on Teaching 21st Century skills with confidence for free video tips, activity ideas and teaching tools. Categories: Grammar & Vocabulary, Skills, Young Learners | Tags: 21st Century skills, Children, Gobblefunk, Grammar, Invented words, Kenna Bourke, Oxford Discover, Reading skills, Roald Dahl, Writing skills, Young Learners | Permalink.